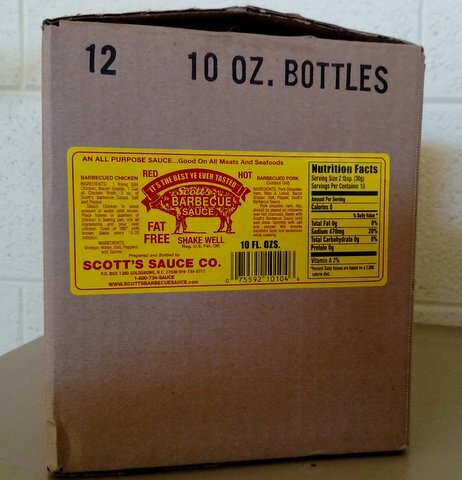 This Case Contains Twelve 10 ounce bottles of Scott’s BBQ Sauce, Contains no Fat, Carbohydrates, Sugar free. Suited for Diabetics, no MSG. Scott’s Barbecue Sauce was developed over a three-year period and remains a secret which is passed down through the Scott family. 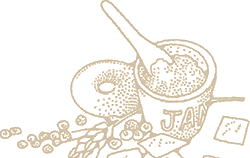 Scott’s is a quintessential delicious eastern North Carolina style, vinegar-based sauce. Perfect for whole hog barbecue, or perhaps just a rack or two of ribs.